In my efforts to get ready for beach weather, I recently started following a new nutrition plan. The basics of the plan are to eliminate processed food and refined sugar and to eat the right foods at the right time. According to the plan, healthy carbs and fruits should be eaten in the morning, while starches should be eliminated after 3 p.m. I am a student and I work full-time, so following any type of nutrition plan is very much a challenge for me. Protein Bars- These are tricky. You need to make sure they’re not full of sugar. I prefer gluten-free, sugar-free ThinkThin bars or Cliff bars. There are also tons of recipes for no-bake protein snacks that you can make on Sunday nights to last you the entire week! 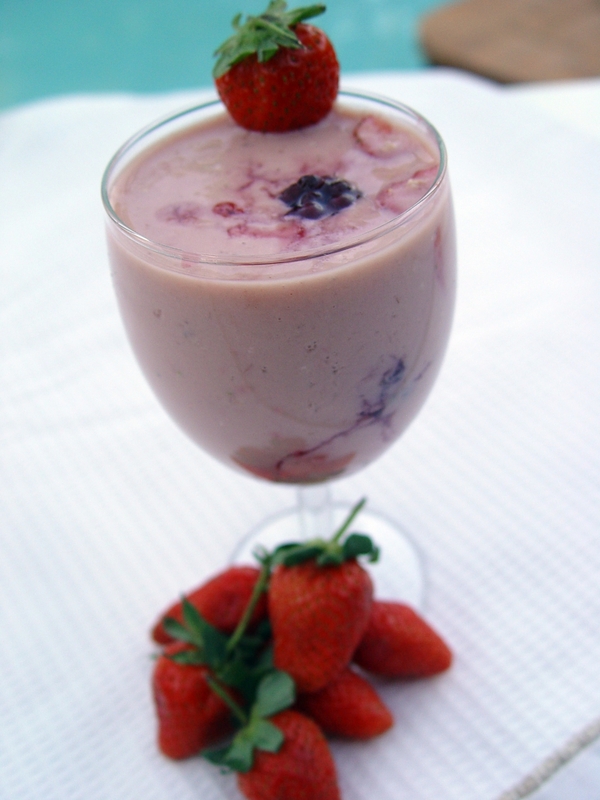 Homemade Smoothies- Anything you can make yourself with fresh produce is always better. I like to add coffee to smoothies I drink in the morning. Keep mason jars or a plastic tumbler cup on hand and make your smoothie the night before if you know you’re going to be in a rush in the morning. Alternative Trail Mix- Blueberries and walnuts make a great snack. Lots of pre-packaged trail mixes are full of sugar and processed foods. Avoid this and maintain portion control by packing it yourself! Purse Friendly Beverages- My favorite is coconut water! It’s a great, natural way to stay hydrated during the day and comes in lots of flavors! I also like sparkling water and making my own flavored waters. Here’s a quick tip: Get a reusable water bottle and add mint and cucumber for a delicious drink! I hope these tips help for managing your appetite and getting beach-ready for the summer! This entry was posted in Food, Sydney Yarbrough and tagged Columbia, columbia sc, every woman blog, Famously Hot, food, hospital blog, Lexington, lexington medical center., lexington sc, Lexington Women, lmc, LMC every woman blogger, Midlands, Midlands Women, South Carolina, South Carolina Women, Sydney Yarbrough, Women, women's blog, women's hospital blog by lexingtonmedicalcenter. Bookmark the permalink.